The thing that brings Marvel’s Runaways together isn’t that they’re all kids with superpowers that make them social outcasts. Instead, each of their parents is part of a doomsday cult. If your actual family is trying to bring about the apocalypse, you’d probably cling to your friends, too. The titular kids’ parents bring them all to a luxurious house and then promptly abandon their children in a huge living room while the adults slip away to attend to some strange, secretive grown-folk business. Naturally, the curious Runaways begin to search through the house to find out what their moms and dads are up to—only to stumble upon them performing some sort of ritual that involves a human sacrifice. From there, the trailer jumps around but we get a chance to see Karolina manifesting her Majesdanian powers for the first time, Molly’s eyes glowing as she charges up her super strength, and Nico coming across an ancient book of spells. We only get the slightest glimpse of Old Lace, the team’s resident velociraptor deinonychus and newest contender for the Marvel Cinematic Universe’s coolest animal superhero (sorry, Lockjaw). 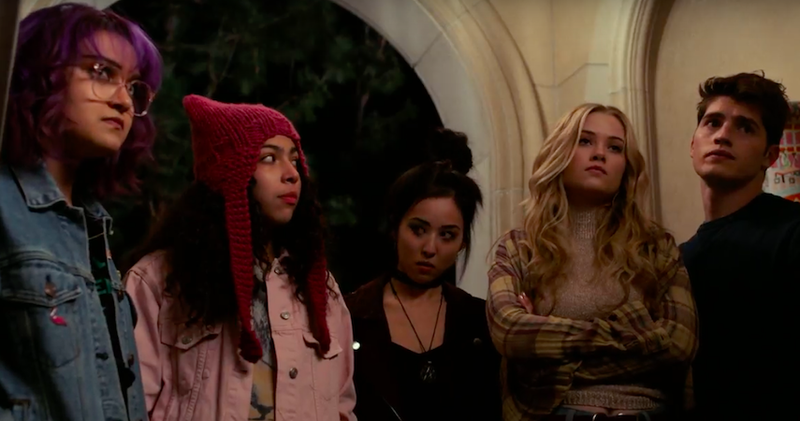 We’ll get to see Old Lace and company in action when Runaways premieres on Hulu November 21.